Dr. Godbold graduated from Centre College of Kentucky in 1974 with a B.S. in Biochemistry and Molecular Biology and received his DVM from Auburn University School of Veterinary Medicine in 1978. In 1980 he established Stonehaven Park Veterinary Hospital, a general small animal practice in Jackson, Tennessee, where he was a solo small animal practitioner for 33 years. 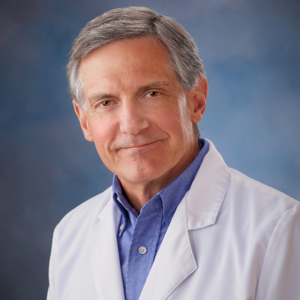 Dr. Godbold currently works full time with Stonehaven Veterinary Consulting, teaching, and assisting colleagues as a consultant for laser surgery and laser therapy. In 1999, Dr. Godbold developed a special interest in laser surgery. He has published several articles about the use of laser surgery in small animal practice. Previous publications have appeared in the Journal of the American Veterinary Medical Association and the Newsletter of the Veterinary Surgical Laser Society and in 2002 Dr. Godbold published the widely distributed Atlas of CO2 Laser Surgery Procedures. In 2009, Dr. Godbold published the Atlas of Class IV Laser Therapy – Small Animal. Dr. Godbold is in high demand as a laser trainer and has spoken at over 450 workshops, wet-labs and continuing education courses throughout the world.